Alex's research is featured in the April edition of CASE News. Congrats Alex! 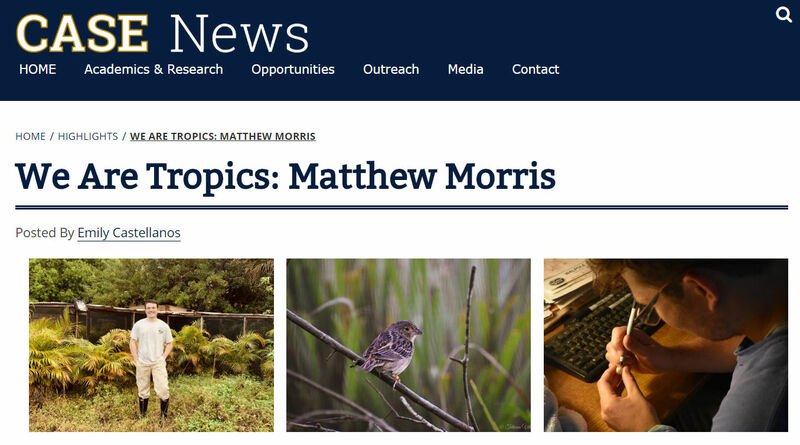 Matt's research on the endangered Florida Grasshopper Sparrow is featured today in CASE News, the news bulletin of FIU College of Arts, Sciences and Education. Congrats Matt! 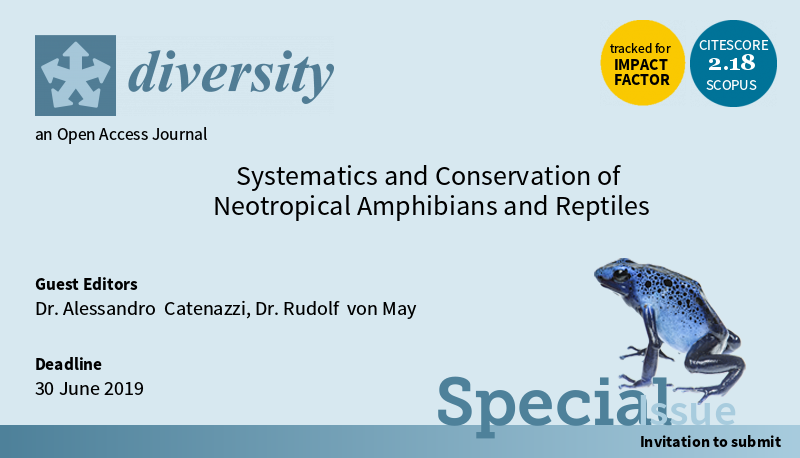 In collaboration with Dr. Rudolf von May, we are co-editing a special issue of the journal Diversity dedicated to the Systematics and Conservation of Neotropical Amphibians and Reptiles. Photo of Dendrobates tinctorius azureus courtesy of Emanuele Biggi. 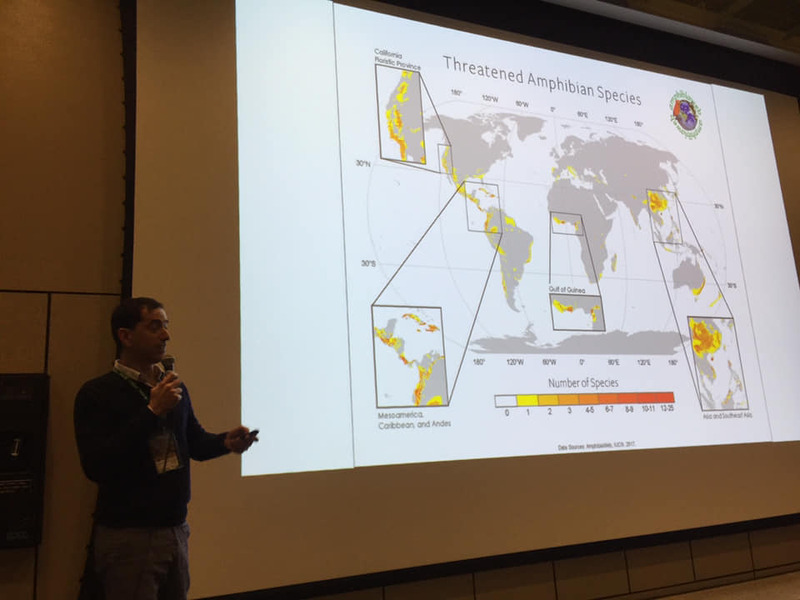 Metabolic ecology of over 100 species of amphibians across a 5,000 meter elevational gradient in the Peruvian Andes, by Mike Britton (oral, 15 min) - won 2nd prize for best oral presentation! The newest lab contribution is a review paper on amphibian skin peptides and their role in defense and healing published today in the journal Molecules. This paper is a collaboration with Dr. Elena Grasselli and her team and colleagues at Università degli Studi di Genova. The article reviews the many known roles of these peptides in protecting amphibians from microbes, predators, parasites, and more generally environmental insults. 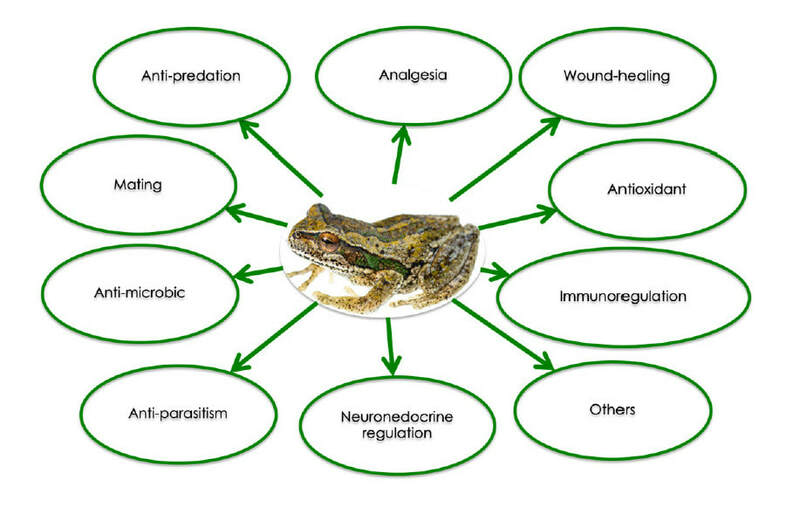 It emphasizes research on the documented function of some frog skin peptides as promoters of wound healing. 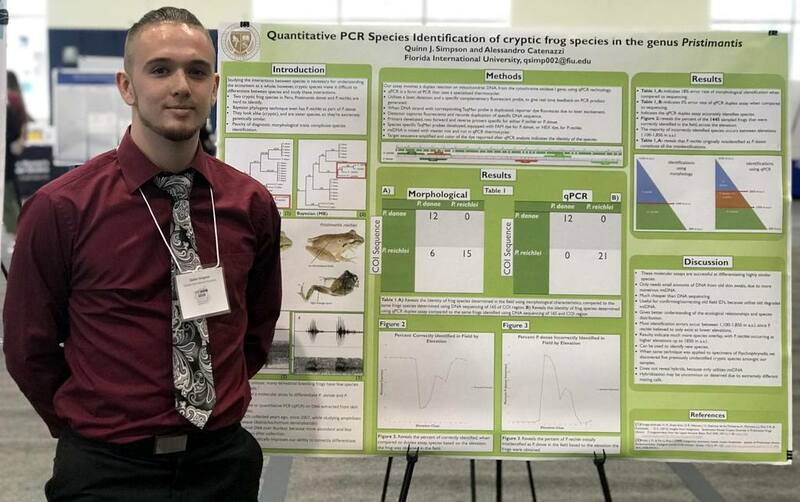 One section discusses the role of skin peptides in inhibiting chytrid fungal growth, and in protecting frogs of some species from lethal chytridiomycosis. 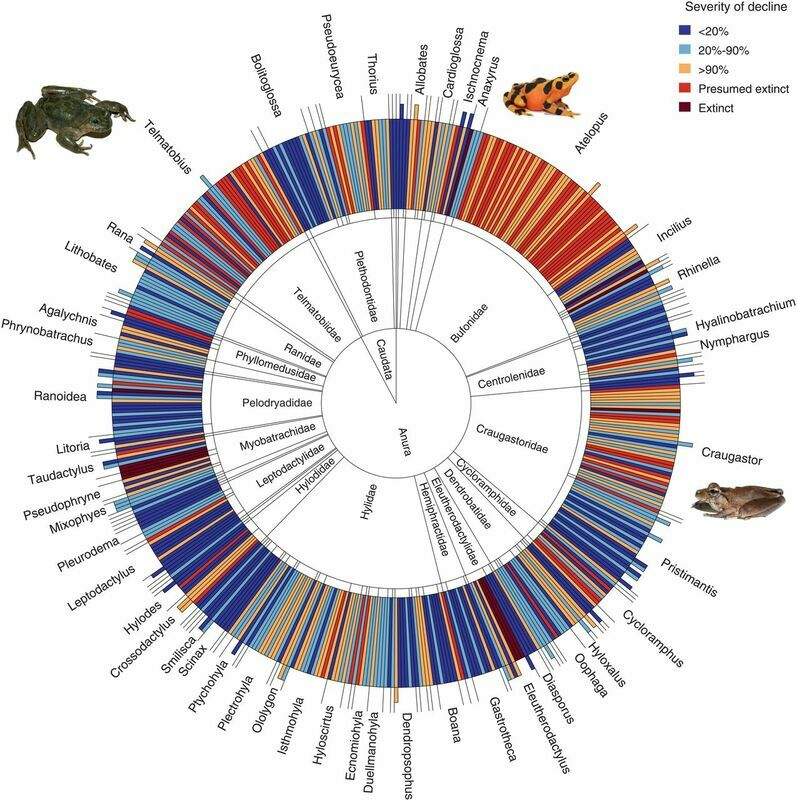 The sheer number and diversity of amphibian skin peptides, which is constantly being accrued by discoveries from newly sampled species, may contribute to a rich pharmacopeia of compounds benefiting human health. A new note authored by our collaborator Alex Ttito and published today in Zootaxa documents new geographic records for the southern Peruvian terrestrial breeding frog Oreobates amarakaeri. This species was recently described from the foothills of the Andes in the Cusco province of Quispicanchis, but our surveys broaden the known distribution northward to Manu NP and southward to Bahuaja Sonene. Near Bahuaja, we found O. amarakaeri very close to the type locality of O. granulosus, although the two species do not seem overlap altitudinally. 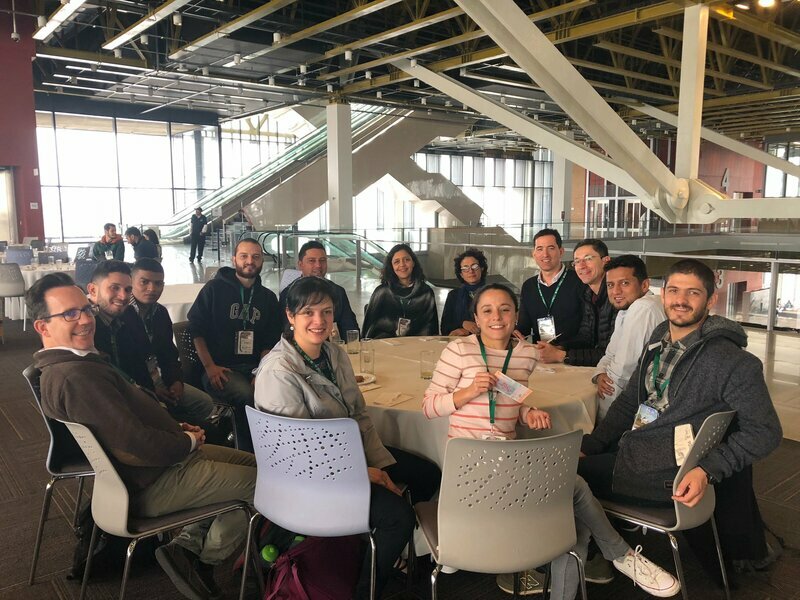 Alessandro attended the 3rd Colombian Congress of Herpetology in Bogota the first week of December. 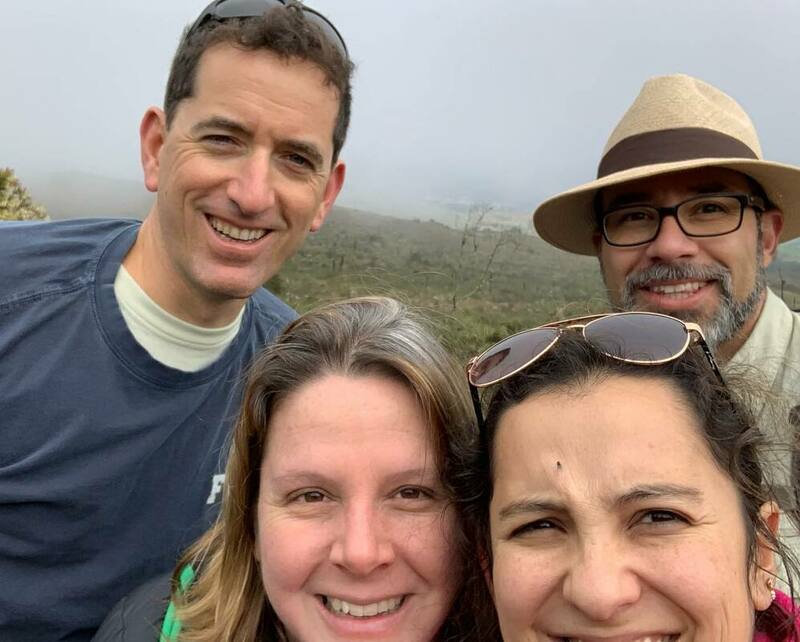 He was one of the plenary speakers for a symposium dedicated to Herpetofauna Conservation organized by Vicky Flechas, Aldemar Acevedo, Nicolas Urbina and Orlando Armesto.